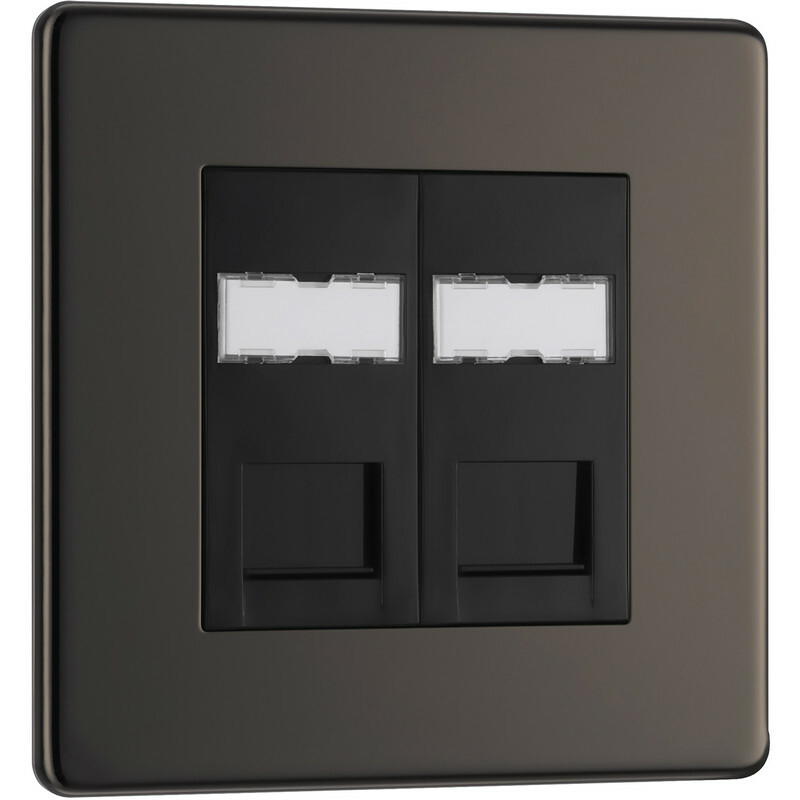 BG Screwless Flat Plate Black Nickel RJ45 Outlet 2 Gang is rated 2.5 out of 5 by 2. Rated 4 out of 5 by diy79 from Nice Looking Faceplate but... Cat5e modules So first of all, the product looks exactly as pictured, ignore the other review. It's a nice looking faceplate, although it's only populated with Cat 5e modules! It's easier & cheaper to buy the faceplate (same brand) & the Cat 6 modules separately from Toolstation than try retrofit these.